HTC’s update to its glamorous Desire smartphone could be in stores from as early as next week. TechDigest spotted a rumour on CoolSmartPhone suggesting that the Desire HD will be in shops from 10th October for free on a £35 per month contract with Vodafone. The Desire HD is – yes – in High Definition. It has a larger screen than its predecessor: 4.3 inches across to the Desire’s 3.7″, and a better camera – 8 megapixels to the Desire’s 5 megapixels. Otherwise it packs the same chip and the HTC’s Sense User Interface.. but also the new version of Android, 2.2. 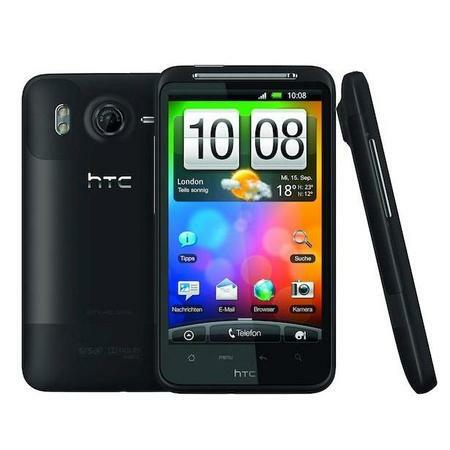 HTC Desire specs vs HTC Desire HD specs. AUO B141PW01 V.1 LCD screen LCD screen is the most important component of laptop.Maybe Other laptop parts or components could be replaced or repaired easily at low cost.but for LCD screen,in most cases it only can’t be compatible problem. For solve the following problem,broken lcd screen,bad pixels,white lines,color,shine screen.Replace A LCD screen is only solution.Sometime,you need to make sure anti-static steps prepared before remove old screens and check new lcd screen parameters match your original LCD screen. so sugguest buyers need buy it at professional laptop screen website. 14″ LCD screen is very pupular in year 2009 and 2010,. In past 5 years , 14.1 is classical and brilliant , but in today, 14.0 replaced her. Compare to 14.1″ CCFL backlight, 1280x 800 resolution, big weight, big consumption 14.0 ” LCD Screen has LED back light, slim and light, 1366×768 resolution and low consumption. And the more important , from 14.1 to 14″ perhaps only this 0.1″ , just the 0.1″ save many cost for laptop manufactures… 14″ laptop for man or women, not heavy and easy to travel and perfect display effect. inevitable it take up 35% seat at laptop market. NBkit.com statics shows that in most size laptops, 14″ has very low repair rate. compared to other size LCD screens.